My Yashica Mat Twin Lens Reflex camera. 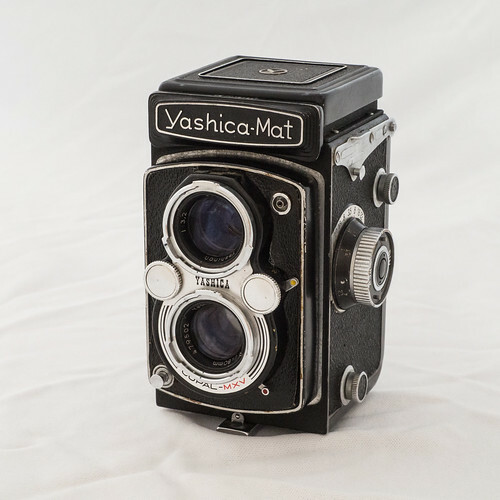 My Yashica Mat twin lens reflex camera from the 1950s. Takes 12 off 6cmm x 6cm square photos on a roll of 120 film. Taken with Olympus OMD EM10.